Anyway, back to the reason for this post. In the process of completing my to-do list, I ran across a few things worth sharing. Hit the break to hopefully learn something you didn’t already know. With all the recent security breaches, Target, Home Depot, and Viator, it’s more important than ever to keep track of your credit card transactions. I know this can be a huge pain, considering most of you probably have 10+ credit cards. However, there’s a much easier way to do it, than logging into each of your accounts one by one! The trick is to use Mint. Mint is a lot of things; a credit score tracker, a budgeting program, an ad heaven, an advisor, and much more. They are a tool of many trades, which can be good and bad depending on what you use them for. I personally only use their services for tracking my credit card transactions, because there are much better ways to track your credit score and your budget. Sign-up for Mint.com here or login here. Select “Edit” on the left side of the page under “Accounts”. Select the giant orange “Add Account” button on the pop-up screen. Add your login information. Don’t worry about your information being stolen, because Mint is run by Intuit. Repeat steps 3-5 until you have all your credit card accounts added. You can add your bank accounts too, if you want. 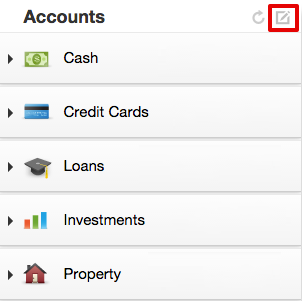 If you want to see your transactions for all your credit cards, select “Transactions” in the top menu bar and enjoy. The picture below shows charges from three different cards. In addition to the above company’s security breaches, Gmail and iCloud had their own. These breaches were a little different, because they didn’t expose your credit card information, but the Gmail breach did expose emails and passwords. Gmail contacted the people whose emails were leaked, but if you want to check if your email was leaked yourself, you can do so here. The iCloud breach didn’t affect anyone other than the celebrities who were hacked, however, it doesn’t hurt to change that password. I suggest changing your passwords regularly and making sure they are secure with numbers, letters, and symbols. Of course, keeping track of all these passwords is a nuisance, but that’s where LastPass comes in. Finally, I added $200 to my United gift registry with my Amex Platinum card. I’ve heard reports that this does count towards the $200 worth of airline incidentals on the Amex Platinum. I’ll report back on whether I get the $200 credit or not.